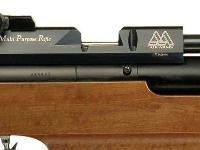 Raise & lower the cheekpiece to adjust the gun to your needs. The thick rubber buttpad is also adjustable up and down and will accept spacers (not included). Diopters make it easier to align your sights. Instead of having to search for the front sight, you look through the rear diopter sight and automatically acquire the front one! Front sight has an insert. 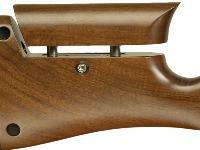 A combination of a diopter rear and a front sight with an insert increases your accuracy! The trigger is highly adjustable for height, forward or rear placement, rotation of trigger blade, first-stage length, second-stage pull weight and placement of the trigger pad. A large breech makes it easy to quickly load your next pellet. No fumbling! To fill the air reservoir, remove it from the rifle & attach it to the 200-bar DIN hole on your scuba tank or hand pump. 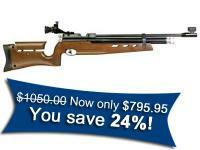 If you enjoy winning 10-meter matches, the Air Arms S400 MPR (multi-purpose rifle) can help you achieve your goals! Like all 10-meter guns, it's 7 joules (5.16 ft-lbs) to meet international 10-meter match specifications. The gun is highly adjustable to meet your individual shooting needs. 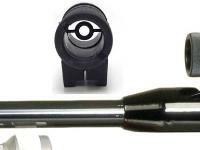 The match trigger is not only adjustable for first-stage length and second-stage pull weight, but it also can be moved up or down and forward or back. 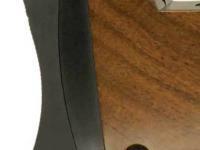 Plus, the trigger pad can be adjusted! An adjustable cheekpiece moves up and down to align your eye with the rear sight, while the thick rubber buttpad is also adjustable. 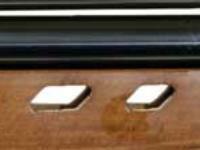 If you need a longer pull, unscrew the buttpad and add spacers (not included). 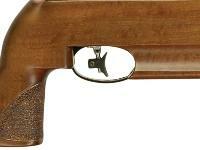 Sights on the gun include a rear diopter and a front sight with an insert. This combination will help you acquire your target much quicker! To fill the gun, unscrew the air reservoir and attached it to the 200-bar DIN hole of a scuba tank or hand pump. The end of the reservoir has a manometer (air pressure gauge), so you'll always know how much air is left in the tank. This is a breechloader and the S400 MPR has a 12-groove barrel and a walnut stock, which comes in righthand, lefthand or ambidextrous. 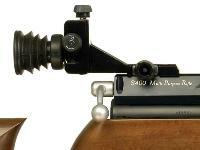 The cocking bolt is not adjustable for position and is on the right side of the gun. 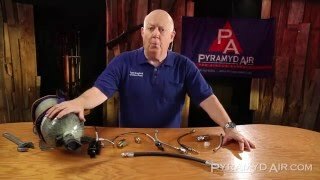 The correct air pressure for the MPR is 200 bar (2,900 psi). Click on the AMMO link for suggested pellets and the ACCESSORIES link for targets, safety glasses & more. Things I liked: More shots per tank than I can count with no variation in trajectory until the the tank is very low. 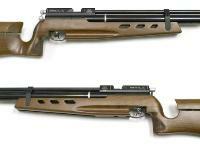 I love the bolt action too. Things I would have changed: Not a thing. What others should know: The gun is flawless but be sure you are looking for a true 10M gun because it is less than 600 FPS. I have a scope on mine and it has no problems holding a pattern at 20M. In the stand it is a true track driver but I am not as good as the gun out of the stand. It is a fun gun to shoot because it shows you how much error you induce into a shot because the gun is perfect.